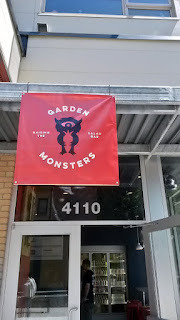 On May 12, 2018, I was invited to the soft open of Garden Monsters' restaurant, located at 4110 NE Sandy Blvd in Portland, Oregon. I have followed Kyle Hulings' food cart journey from his first spot near NE 13th and Alberta, to the now-shuttered A-15 (NE 15th and Alberta) pod, to 23rd and Alberta, and to Tidbit (also a pod that no longer exists). 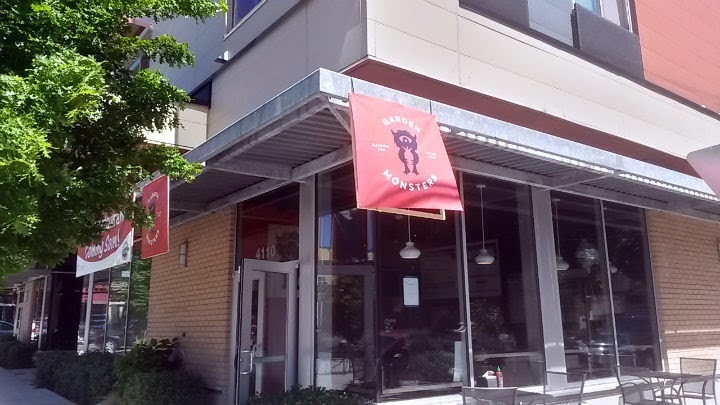 His food cart is now at the Scout Beer Lot near SE 50th and Division. 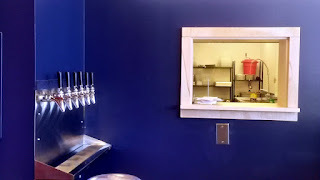 After speaking with Kyle at the soft open, he noted that the general public opening was the following Tuesday (May 15), with a bigger grand opening to follow in July 2018. 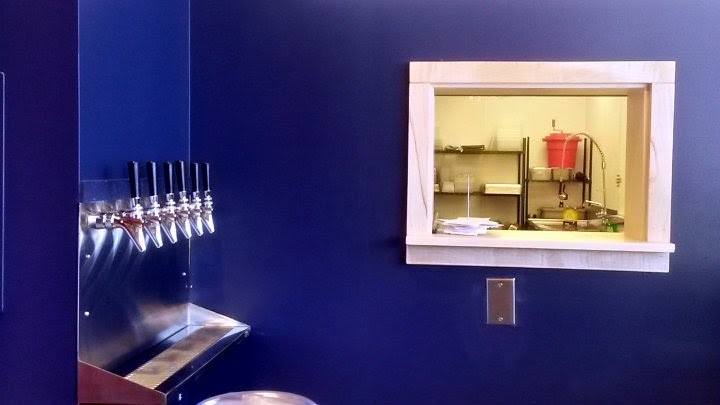 More professional-looking signs were still on back order at the time of the soft open, and eventually Kyle was also awaiting OLCC clearance for more alcohol options (canned beer was available at the soft open, but there were six unused tap lines to the left of the kitchen window). 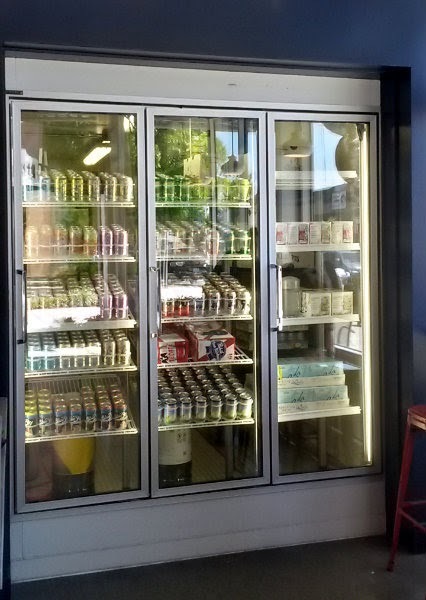 The fridge has soda, beer, cider, and sparkling water. 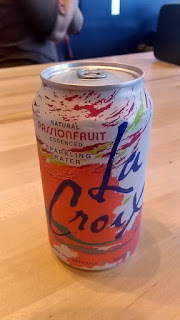 I tried the La Croix passion fruit sparkling water, not bad. 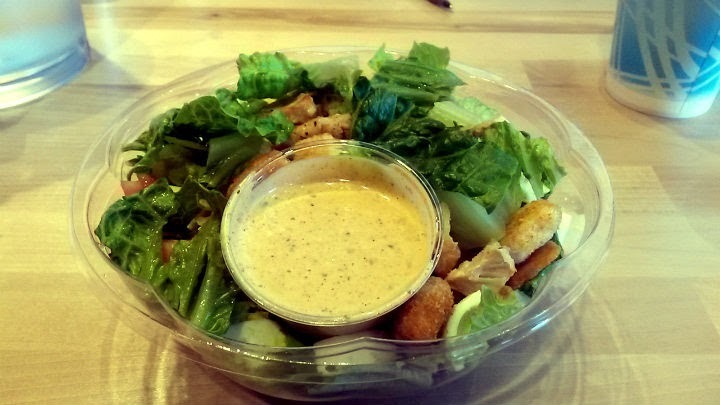 The first time I had a salad from Kyle, I had a feeling he would make it. 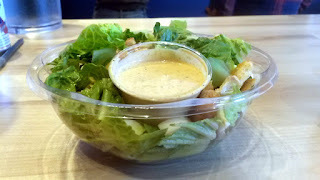 Everything was fresh, the dressings were cart-made (still all made in-house), and the prices were reasonable. Combine all that with a healthy-conscious Portland area, and the stars aligned. 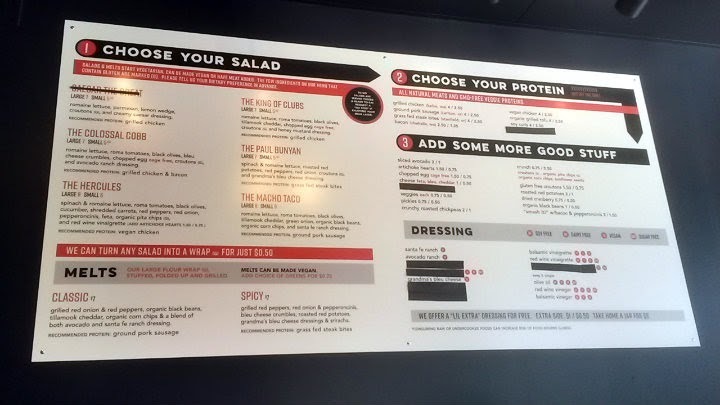 To me, Kyle made three good changes to his menu since the original incarnation: (1) adding a "wrap" (burrito-like) option; (2) paring down the menu to just the most popular choices; and (3) introducing a smaller salad option for a few bucks less. Garden Monsters' NE Sandy location is in the Hollywood District, which usually means it can be a task to find parking. While there are street parking spots in the vicinity, coming at the wrong time may mean parking several blocks away like I had to do. 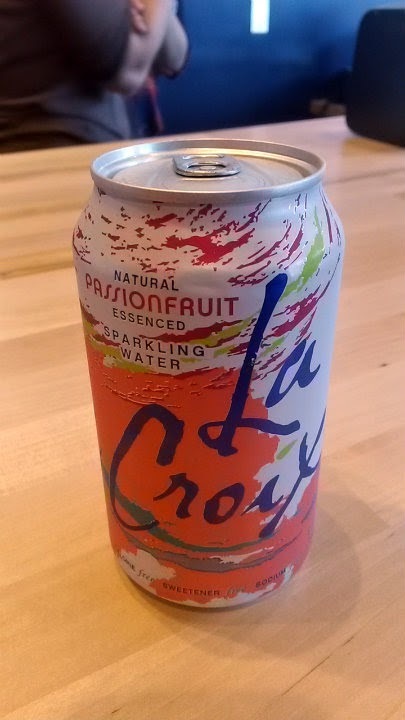 But if I'm gonna eat healthy, I might as well double down with more exercise. The soft open was a free food-and-drink day for everyone attending. 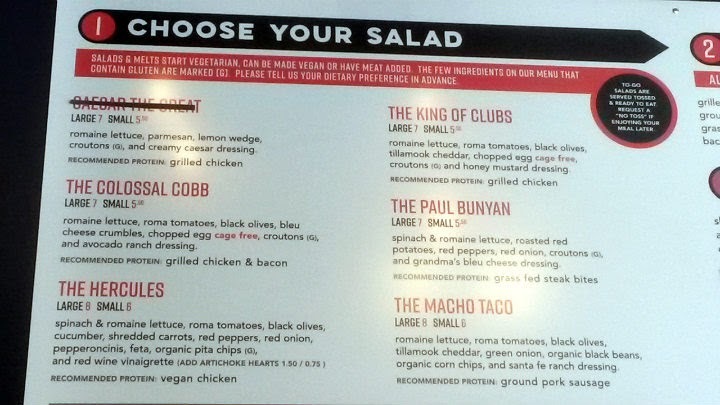 The King of Clubs (small $5.50, large $7) features romaine, Roma tomatoes, black olives, Tillamook cheddar, chopped cafe-free eggs, croutons, and honey mustard dressing. 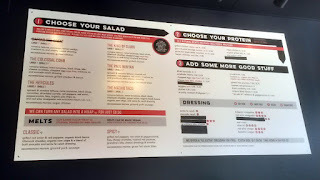 With no honey mustard ready for the soft open, I tried the Santa Fe ranch dressing and added some grilled chicken (which would be $2.50 extra). I'm usually not a ranch fan, but the Santa Fe ranch here was decent. Lots of spices in there to remind you of tacos and fajitas. 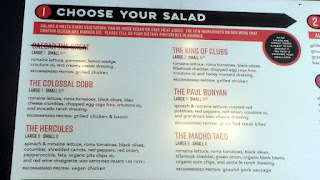 Predictably, it is the default dressing option for the Macho Taco salad. 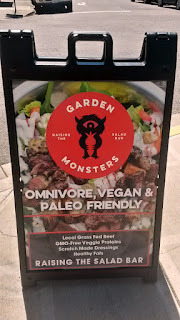 Yes, I'm aware of the E.coli outbreak regarding Romaine lettuce, but only if it was bought from certain locations. There were no reported incidents in Oregon as of May 12. I had no issues after eating the salad. As always, I wish Kyle the best on the new restaurant. He has come a long way from opening his cart five years ago.